That ad came 10 years before I did, but I immediately knew that the ad was Coca-Cola. It was easy, Coke is one of the most recognizable brands out there. Whether it’s the spot from Mad Men, the “Mean Joe” ad, or the Coca-Cola Polar Bears, you know it’s a Coke ad. So when one of your prospective clients sees your ad, or your law firm’s logo, what do they think? If you don’t have a brand – and I’m talking about more than just a logo – they probably don’t think much. So what is a brand? 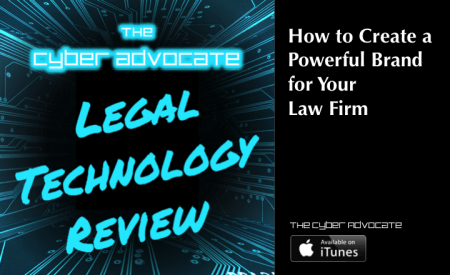 More importantly, how can you create a powerful brand for your law firm? As I mentioned before, a brand is more than a logo. A lot more. Your logo may be the visual cornerstone of your brand, but without all the other elements, it’s just a storefront. It can be memorable and interesting, but if a prospective client sees it, but has no idea of what to expect inside, it’s highly unlikely they’ll walk in the door. That lawyers mistake the two shouldn’t be too difficult to understand. Considering we’ve only had the right to advertise since 1977 (Bates v. State Bar of Arizona), our beginning of true advertising happened almost a decade after the Golden Age depicted in Mad Men ended. Yet today, amid increasing competition and decreasing legal spend, successful marketing is essential. Developing your law firm’s brand is the first step. At its core, your brand is about the attitude you want your clients and prospective clients to get about your law firm. Sure, you want to be professional. But that’s pretty basic. You also want to let them know that you’re a lawyer. The “attorneys” or “and associates” along with the gavel or the scales of justice you include gives that away. There’s so much more to your brand. Your brand is about what makes you different. If your brand doesn’t help your prospective clients decide to pick you rather than someone else, start over. Your brand should reflect who you are, what kind of business you want to run, and what sets you apart. Your brand needs to say: “This is us, this is our story, here’s how we’re different, and here’s why we’re the best choice for you.” Your prospective clients are paying a premium. Let them understand why. Your brand is a visual identity. Using your logo, the right colors, the right fonts, the right layout, and the right prose, you make your law firm memorable. Most people can recognize a Target ad even when the logo, and even the color red, are removed. How? Because the fonts they use, the language they use, and the simple phrases they use are easily recognizable. Your brand marketing will not succeed if it’s not aimed at the right audience. Face it – there are too many law firms out there to simply compete as a “law firm.” Plus, you’re never going to win a price war. So give your prospective clients something to justify spending a little more. Need an example? Look at how Apple has formed a loyal fan base – consistent messaging and consistent experience. 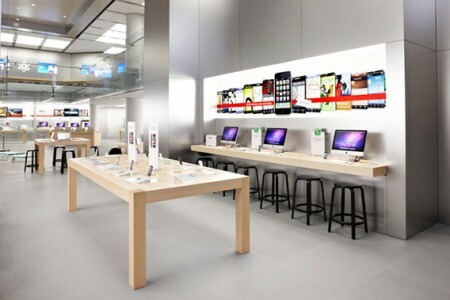 Apple uses effective, consistent images and themes across not just its advertising, but its stores and products. The colors used in design, the layout of their stores, the metal-finish on the products, and even the term “Genius Bar” fit into their consistent message. These are visual cues to the audience. However, consistent messaging won’t create evangelists like Apple’s does without a consistent experience. Apple customers can count on product launches (essentially) free of lemons, and a product that works. For a successful brand, you need to have a consistent visual representation. Without consistency, you’ll never be recognizable, let alone memorable. Does your law firm have the same visual identity across different platforms? Does your website use the same type face and colors as your letterhead? How about your promotional items? How about your reception area in your office? A consistent visual identity is essential to a successful brand. Beyond consistency, do you know what the psychological impact of your choices are? 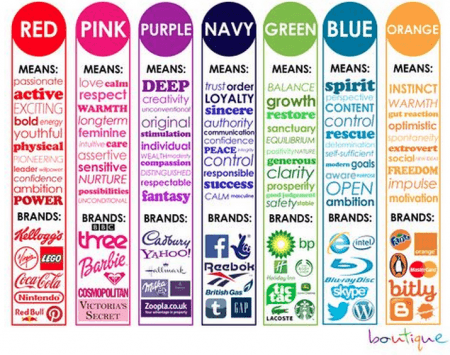 It might surprise you to learn that the colors you choose, even the fonts that you use, convey different things to people. The color red is aggressive impulsive, but it also connotes boldness and energy. A sans serif font might come across as more current, but some might see it as less professional. Most of all, do all of these things match your message? Does your logo convey simple, clean, professional? Does it fit on your promotional pens? It might look great on your letterhead, but if you can’t use it in your marketing, you shouldn’t use it at all. Finally, does it resonate and connect with your audience – an audience already bombarded with branded messages 24 hours a day? For a successful brand, you need to give your prospective clients a reason why you’re different. Without differentiation, all you have is a logo. What do you want your clients to think about you every time they see your branding? Start by asking yourself why you’re in business in the first place. Ben Stroinski of Satellite Six’s branding is centered on this proposition: Your new clients will see your branding and say “wow.” As he says, if they’re not able to “get to the ‘wow’,” they’re not doing their job. So what is your unique value proposition? Why and how are you different from the law firm down the street practicing the same thing? You can do this a lot of different ways, but probably the best way is to make yourself personable and accessible all day, every day. The best way to do that? Start a blog! Write about yourself and your practice (within the ethical rules, please). Let people see your expertise and get to know you, without having to actually meet you! For a successful brand, you need to give prospective clients a reason to come in, and current clients a reason to come back. Sure, winning a case might be the single best way to win a client, but I’ve certainly known clients who have won and been unhappy with their attorneys. What kind of experience do you expect your customers to have? What kind of experience do your customers actually get? We’re bad at this one. Us lawyers believe that we’re giving phenomenal service to our clients, and we seem to believe pretty strongly that our clients would back us up. However, as Ben points out in our interview, people (especially professionals) have a blind spot about this part – the experiences we provide to our customers. So create a survey. Figure out what your clients and prospective clients like about your service. More importantly, find out what they don’t like. Ask them what makes them more or less likely to recommend you to a friend or relative. Nobody has all the answers, and with a field like law, nobody knows your clients better than themselves. Don’t listen to any specific advertising advice until you’ve heard from your own clients. Pull all of your customer-facing materials, and see if they line up. Not just your promotional material, but anything a customer might see. This includes email newsletters, letterhead, and your office lobby! Get a sense of whether your visual identity coordinates or… not. What do you do that differentiates you from other lawyers? It doesn’t have to be a practice area, it can be as simple as having a blog. Do you automate certain areas of your practice or offer unique pricing structures? Have a client communication portal or offer online payments? Find any unique benefit. You probably hate this, but it’s critical. Find out from your clients why they picked you, and why they are or aren’t likely to recommend you. Make it anonymous so they can respond honestly. And actually listen to what they say. You might not like it, but most of your prospective clients are going to listen to them, not you.